The best gaming laptop is a tricksy and elusive beast to track down. It’s well worth the chase, of course. These days, gaming laptops can more than respectably go toe-to-toe with their big desktop cousins, delivering game-crunching horsepower at an eye-meltingly high-level, with a distinctly sleeker, smaller, entirely more portable form-factor. They’re a great, streamlined route to all the wonders of the best gaming PC. But picking the best gaming laptop for you is going to come down to a few different factors. Power is a big one, of course. The better you want your games to look, the more you’re generally going to spend, so you’ll want to consider whether you’re really looking for a gaming laptop pitched for pure performance, or whether you just need a solid, mid-range, portable gateway to the eclectic world of PC gaming. If you’re going to travel with your gaming laptop – rather than, say, simply using it as a desktop replacement – then size and weight are important too. No-one wants to start resenting their shiny new pixel-smashing toy because it’s dislocating their shoulder on a daily basis. And you’ll want to pay attention to a gaming laptop’s screen as well. Size, resolution, and overall quality are important factors that can really amplify the visual performance of your machine, or remove some of its lustre. This is basically your laptop’s brain. The bigger and better it is, the faster and more capable your laptop. On this list you’ll see them range from Intel Core I5 up to Intel Core I7, and as a general rule of thumb, the higher the four-digit number at the end, the better. This is your dedicated graphics processing unit. 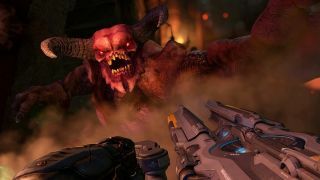 It specialises in visuals, so the more powerful it is, the better your games are going to look, But you’ll need to combine it with a good CPU and a decent amount of RAM in order to get the best out of it. No component in a gaming laptop works in isolation. The onboard memory of your gaming laptop. RAM effectively dictates how many things your laptop can do at the same time without slowing down. Usually starts around 8GB, and for most modern games, 16 is plenty. Most gaming laptops will come with a native screen resolution of 1920 x 1080 (ie. 1080p). This is more than good enough for gaming, delivering full, 1080p HD capability as standard, though the overall power of your gaming laptop will dictate how well your games will perform at high resolutions. 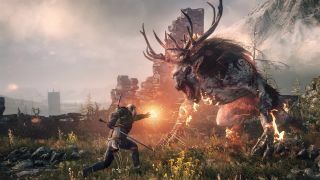 On less powerful machines, you might have to juggle graphics settings, resolution and frame-rate to get the best balance, but don’t bother worrying about getting to 4K. 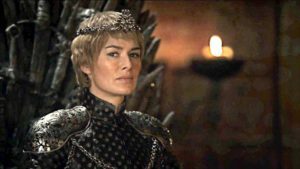 Some gaming laptops now sport full 3840 x 2160 Ultra HD screens, but this is currently only consistently useful for 4K video. 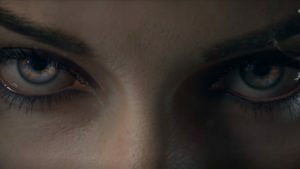 You certainly can make games run at this resolution, but you’ll generally have to downgrade the visuals a fair bit more to get there. The MSI GS65 Stealth Thin gaming laptop is a powerful and slinky beast. Delivering a seriously effective, eighth-generation Core i7-8750H processor, while a more than respectable 8GB GTX 1070 GPU brings excellent performance by way of some serious gaming grunt, it’s one hell of a game-crunching monster. How monstrous? Middle-earth: Shadow of War. 68 frames-per-second. 1080p, ultra settings. That’s the kind of monster we’re talking about. Also packing a really rather delightful Steel Series keyboard ensconced within a matt black, gold-accented aluminium body, it sports refreshingly classy, subdued looks (for a gaming laptop), making for a strong package all round. The display is delicious too, though it’s worth noting that the MSI GS65 does lack G-synch, meaning that you’ll probably want to divert some horsepower to V-sync in-game, just to be sure. Not that that’s a huge problem, as this machine has horsepower to spare. A really likable, entirely convincing all-rounder, the Asus GL502VS gaming laptop has very similar specs to the MSI machine. With a brilliant G-Sync display running at 120Hz, this thing is really built to make the most out of it processing power, letting its GTX 1080 sing as loud and clear as it deserves to. 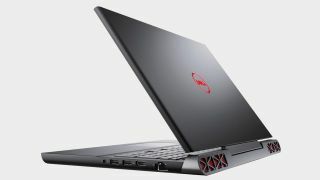 It’s a really well-balanced machine that’s eager to tear into anything you throw at it, and while it’s a tad chunkier than the above two gaming laptops, its 1.17 inch thickness – combined with a smoother, less aggressive look than the usual Asus ROG design – still makes for a compact, attractive, and highly portable gaming machine. 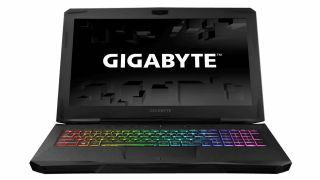 Bringing in a similar spec at another great price, the Gigabyte Sabre Pro is another of the best gaming laptops around when it comes to overall value. It drops a small about of GPU grunt compared to the Strix, but balances that out with more robust storage. The finer details feel like nitpicking though, when looking at a gaming laptop at this sort of price with this balance of power. Definitely a lower-cost machine very successfully punching above its weight. Dropping in price naturally means dropping slightly in specs, but that doesn’t necessarily mean the loss of quality you might fear. Looking at a gaming laptop like the Helios 300, for instance, the performance is still great. It takes a little more tweaking of settings to hit the sweet spot, but if you’re not married to the idea of running every game on ultra settings while still hitting the magic 60 frames-per-second refresh rate, it’s still a solid bet. Combining a 2.8GHz Core i7-7700HQ processor with a GeForce GTX 1060, 6GB GPU, Helios is still a thoroughly capable gaming laptop. 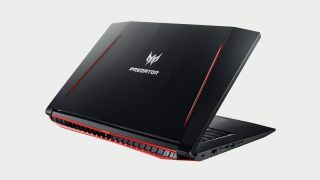 Saving on cost by eschewing G-Sync, it’s nevertheless able to throw out great results on high-end games, and while there are multiple, similarly-specced gaming laptops around, the Acer Predator Helios 300 beats pretty much all of them by way of its lower cost and surprisingly decent battery life during non-gaming activities. Sometimes, more is more. 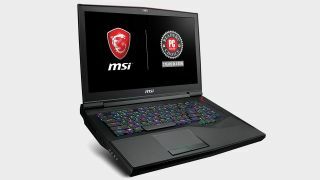 That’s the approach of the MSI GT75 Titan. This is not a gaming laptop with any intention of subtlety. It’s a desktop behemoth squeezed into a (hefty) laptop case, and it’s bursting at the seams with power. Everything about this thing booms ‘I am big and mighty and I do not care’, from the full-sized Steel Series keyboard, to the powerful speakers, to the sturdy cooling system. And then, of course, there are those specs. There’s nothing remotely subdued about the MSI GT75 Titan, right down to its size and price-point, but if you’re after a robust, DGAF power-house and have the money to spend, this machine is not messing about. You are not going to be playing the latest AAAs at face-melting spec with the Dell Inspirion 15 7576. 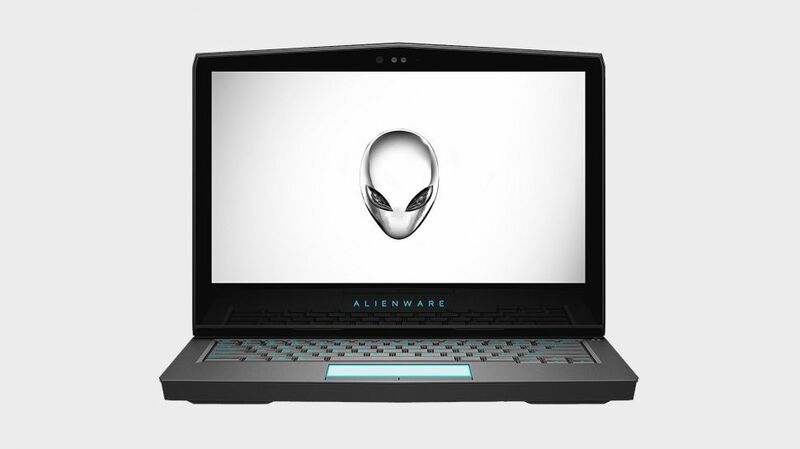 If that’s what you want, then the best gaming laptop for you is to be found elsewhere on this page. 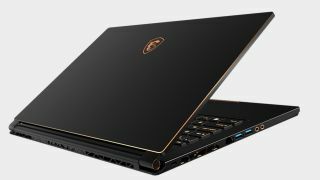 If, however, you’re just looking for the best gaming laptop for digging into the less demanding realm of the best indie games on the platform, or the easiest way to get into Fortnite with a keyboard and mouse – maybe you prefer your big, shiny, cinematic gaming on console, with feet up on the sofa – then this might be what you’re after. 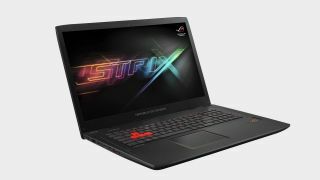 With around a four-hour battery life, it will also double up as a decent work laptop when more tedious demands drag you away from gaming.